Showing 1 - 10 of 20 Products for Drum Brake Wheel Cylinder Kit. 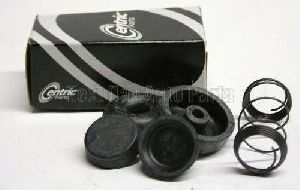 Centric Parts Wheel Cylinder Repair Kits return your wheel cylinders to like-new condition. These kits include everything needed -- spring, cup seals and dust boots -- to repair leaky wheel cylinders so they can work like new.